Jansen Burgess understands the dynamics of the North Alabama real estate market through his many years as a superintendent building homes starting in 2011. He takes a great deal of pride in showing off the area he knows and loves by educating his clients so they can make the best decisions for their needs. He obtained his Home Builders License in 2015 and his Real Estate License in 2017 to enhance his understanding of the market and all aspects of real estate. Based in Madison, Jansen is the expert to help you with all of your home buying and selling needs in North Alabama. As an agent with Exit Realty, Jansen utilizes exclusive marketing tools to widely expose his listings across the internet, showing each property to its best advantage and ensuring each home stands apart from its competition. Jansen is a member of the Local, State and National Association of Realtors, in addition to the North Alabama Multiple Listing Service. In his free time, Jansen enjoys fishing, hunting, and golf. Jansen prides himself on accountability, attention to detail, and personal service allowing him to build lifelong relationships with his clients. For Jansen, its not about helping you purchase one home, its about helping you purchase a lifetime of homes. David Fleming has lived almost his entire life in North Alabama. He was born in Grandprairie, TX and moved to Hodges, AL with his family when he was 4 years old. David attended Hackleburg High School where he excelled in the classroom by graduating with honors as well as on the football field, the basketball court, and the baseball field. He joined the United States Air Force directly out of high school and served 4 years. Most of which was spent in Grand Forks, ND where he was awarded the Humanitarian Service Medal for his distinguished volunteer efforts during "The Flood of '97". David also served 2 tours in Saudi Arabia where he was awarded "Airman of the Tour" for his outstanding work ethic and ambitious attitude. After travelling the world David decided to leave the military and return home to Alabama where he started his own cabinet business, got married, and had 2 beautiful children. David earned his Real Estate license in February 2013 while working full time as a pest control technician at the 5th largest pest control company in the United States where he was awarded the Presidents Club Award, an award given to less than 2% of the company's employees. David made the transition to being a full time real estate agent in September of 2013. In 2014 David was recognized as a gold level producing real estate agent for Exit Realty Alabama. In 2015 David would go on to be given the bronze designation from Exit Realty Corp. International as well as the same award in 2016. David was recognized in 2015 as a Top 10 Agent in the state for Exit Realty Alabama. In this same year David was also awarded the platinum level production award by Exit Realty Alabama. David will bring his years of experience in real estate to work for you. Whether you are looking to purchase your first home, dream home, sell a home, or looking for investment properties David can help you. Contact him today to make your dreams come true. Eric's extensive knowledge and experience in business provides him a unique view of the real estate market and market trends that he is able to share with his clients to help them make the best decisions for their needs and desires. A long time resident of North Alabama, Eric sells residential and commercial properties in Moulton, Decatur, Madison, Huntsville,and Limestone county and the surrounding areas. Specializing in first time home buyers, 100 financing, foreclosure a and short sales, his multi-faceted expertise is of great benefit to his clients. Eric takes great pride and specializes in finding first time home buyers the right home for them in the quickest time possible and with easy financing, often with low or no down payment. Eric uses the latest internet technologies to market and find homes at an expert level. Eric earned a B.S. degree in Business, with concentrations in marketing from Mississippi State University that provided the solid background on which his career has been built. In addition, he is a member of the PTA at Francis Nungester Elementary and Decatur High School, as well as a band booster for the Decatur High School band. Eric is a member in standing of the Huntsville Area Association of Realtors (HAAR), Alabama Association of Realtors (AAR), and the National Association of Realtors (NAR) in addition to the Huntsville Multiple Listing Service (HMLS). Ronnie Harris was born and raised in Huntsville. While owning and operating Hornes Upholstry and Decorating he earned his real estate license in 2002 and his Associate Broker license in 2004. He is a Accreditied Buyer's Representative (ABR), Certified New Home Specialist (CNHS), Short Sales and Foreclosures Resource (SFR) and completed the Graduate Realtor Institute (GRI). Ronnie has also earned the highest credential awarded to residential agents and brokers, which only 3% of Realtors have earned which is the Certified Residential Specialist (CRS). His extensive knowledge has also led him to recruit and train new agents. Ronnie's experience and certifications have helped him become a muti-million dollar producer helping his customers complete their transactions including foreclosures, first time home buyers, new construction, commercial real estate, investors, lots and land! Ronnie is a member of the Huntsville Area Association of Realtors (HAAR), Alabama Association of Realtors (AAR), National Association of Realtors (NAR), and North Alabama Multiple Listing Service (NALMLS). In his spare time, Ronnie is a die hard Alabama fan, going to football games in the fall. He also enjoys renovating homes. Jeff Nay founded EXiT Total Realty, Inc. in 2009 after 4 successful years with Total Realty Services, Inc. and focusing primarily on new homes sales. The change was made to expand the business to a more traditional full service real estate company working with sellers and buyers, as well as, builders. The EXiT model was adopted because of its’ proven track record of agent support, education, technology and unprecedented growth. EXiT focuses on agent development through unlimited training and provides agents with a secure future. EXiT Total Realty continues to grow in both quantity and quality of agents which is reflected in our service to our clients. EXiT Total Realty and its’ agents have been recognized annually as one of the premier brokerages in the region, as well as, internationally. Some past achievements include: 2010 Rising Star Award, 2013/2014 President’s Award, 2011/2012/2013 Brokerage of the Year. 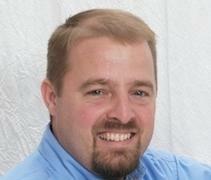 My name is Jason Pletsch and I have lived in Huntsville, AL since January 2009. As a recent first time home buyer, I want to focus on helping other first time home buyers navigate through the process and find a great home like I did. I obtained my license in 2018, but am not brand new in a sales career. My attention to customer expectations and persistence have led to several sales awards from former employers. I am excited to join EXIT Realty, and the EXIT Total Realty team. EXIT Total Realty has been serving North Alabama since 2009. This was my realty of choice when buying a home because of the their knowledge of the area and the time they took to get to know me as a client, and is why I have chosen to partner with them as a newly licensed agent. When I'm not working, I enjoy traveling this great country and visiting other countries. One of my bucket list items is to attend a Major League Baseball game in every park, and I have been to 18 so far. My favorite past time is spent visiting my nephew and niece in Colorado and taking them fishing. I truly believe that "A bad day fishing, is better than a good day anywhere else." Dyle Roberts moved to the Huntsville Alabama area over 10 years ago. She earned her degree in Risk Management and Business at the University of Georgia and worked for over 15 years in the telecommunications industry providing exceptional customer service for the Professional Services division. With encouragement and support from friends and family she has become a licensed agent with Exit Total Realty. In her free time she enjoys using her creative talents in refinishing furniture and painting. Dyle uses her outstanding customer service skills in assisting buyers and sellers in all aspects of the real estate process. Dyle is a member of the Huntsville Area Association of Realtors (HAAR), National Association of Realtors (NAR), and North Alabama Multiple Listing Service (NALMLS). Kimberly moved from Tampa, FL to Madison, AL in 2009 and has truly enjoyed making Alabama her home. With 15 years experience in Media, Marketing and Market Development combined with 9 years in Property Management in Huntsville/Madison area, she understands how to serve her clients and customers with commitment and integrity. Kimberly has been an advocate in Dog Rescue and was a Founding Member and President of Florida Doggie Paws Rescue. She says Fostering dogs and finding them new families/homes and giving them a second chance has been one of the most rewarding times in my life. Her creative, enthusiastic, and caring nature is perfect for matching each clients needs, as well a effectively featuring a homes unique character.